“America first,” as commentators were swift to point out, has quite the sordid heritage, brandished by Nazi sympathisers like Charles Lindbergh who objected to US involvement in the Second World War. But Churchwell, a literature professor and the author of books about American culture, argues that the history of the phrase is in fact more surprising — and, she suggests, more convoluted — than the quick takes suggested. 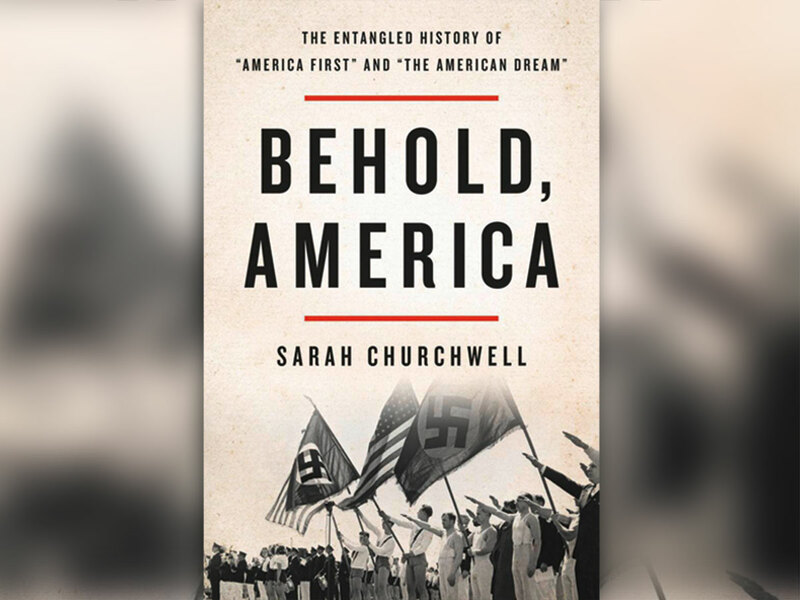 In Behold, America: The Entangled History of ‘America First’ and ‘the American Dream’, Churchwell explores how the two phrases wended their way through American politics in the first half of the 20th century, journeying from hazy sentiments to loaded cliches. Which isn’t to say that she ignores how the American dream accrued and shed meaning over time, becoming a pliable repository for whatever the country claimed to hold dear. During the Roaring Twenties, “it began to appear far more often in tandem with glorifications of wealth,” she writes — and therefore took on an ironic, even facetious, dimension among critics of the new dispensation. F. Scott Fitzgerald may not have used the exact term “American dream” in The Great Gatsby, but Churchwell (who herself wrote a book about that novel) cites Fitzgerald’s concluding passage, in which Nick Carraway contemplates how Gatsby’s dream receded into “the dark fields of the republic,” as a mournful observation of how an expansive vision of “human potential” had degraded into cupidity. By the 1920s, the term “America first” had already gone from isolationism and protectionism to proud internationalism and back to isolationism again. Churchwell finds it in print as early as 1884, when a California newspaper ran an editorial about trade wars with the British. It soon became a slogan for the Republican Party, and then the Democrats, too. President Woodrow Wilson famously invoked it when justifying his refusal to involve the United States in the First World War — and then famously invoked it again when he committed troops to Europe, insisting that “America first” essentially meant that America should take the lead. After the war was over, the phrase returned to being a rebuke to internationalist involvement — and became, increasingly, the slogan of white supremacists and homegrown fascists. The Ku Klux Klan adopted it as a motto, stating that “the ABC of the Klan is America First, benevolence, clannishness” (a reminder, as if we need one, that even the most asinine rhetoric can be deadly). All these protean meanings can get confusing, and Churchwell has a tendency to corral the unruliness of her material by overstating her case. Still, she’s an elegant writer, and when “America First” and “the American dream” come head-to-head in her book during the run-up to the Second World War, the unexpected (and alarming) historical coincidences begin to resonate like demented wind chimes. Churchwell strenuously resists any implication “that the American dream was invented as a fig leaf to protect white privilege, to obscure the racist foundations of the capitalist system in institutional slavery.” But the phrase didn’t have to be “invented” for that purpose in order to serve as such. Her entire book argues against categorical defences like hers. Behold, America illuminates how much history takes place in the gap between what people say and what they do.